Day 2 of the 2018 World Series of Poker saw dreams come true. One bracelet was awarded, the second of the series so far, while two tournaments played through their Day 1s. Here’s a run through all of Thursday’s action (May 31). Just 13 of the 566 field returned for today for Day 2 of Event #1, the $565 Casino Employees Event, and when all was said and done it was Jordan Hufty – an Aria dealer and floorman – who claimed $61,909 and the second bracelet of the 2018 WSOP after a dominating final table performance. Hufty had to put in some work to get there though, including a gruelling four-hour heads-up battle versus the start of day chip leader, Jodie Sanders. Having come in to heads-up with a 2:1 chip lead, Sanders managed to claw his way back to even. But Hufty didn’t let it get to him, and after establishing another healthy chip advantage, the whole thing came to an end when Hufty’s king-queen hit to beat Sanders’ pocket threes. The final day got down to a final table of ten within the first hour of play, with Hufty starting second in chips. But a double KO saw Hufty’s pocket kings hold up in a three-way all-in against Brad Helm’s ace-seven suited and Jason Pepper’s ace-king, gifting him the chip lead which he wouldn’t relinquish. Hufty then eliminated Skyler Yeaton in eighth when his ace-four managed to hot a three-outer against Yeaton’s ace-queen, and would go on to eliminate Won Kim in fifth (ace-king over ace-eight) and Zachary Seymour in fourth (ace-jack over pocket nines) in quick succession. Three-handed play slowed things down, but after an hour Kate Kopp’s 13-big blind shove with king-eight suited ran straight into Hufty’s pocket aces. The four-hour duel then began, but ultimately Hufty managed to achieve a dream he’s had for a long time. “I’ve thought about winning a bracelet about every day of my life for the past 15 years,” said Hufty. “So, to actually have it come through today is pretty special. Hufty says he felt right at home on the big stage, perhaps from all of his experience dealing high stakes games, including on some old episodes of Poker After Dark. 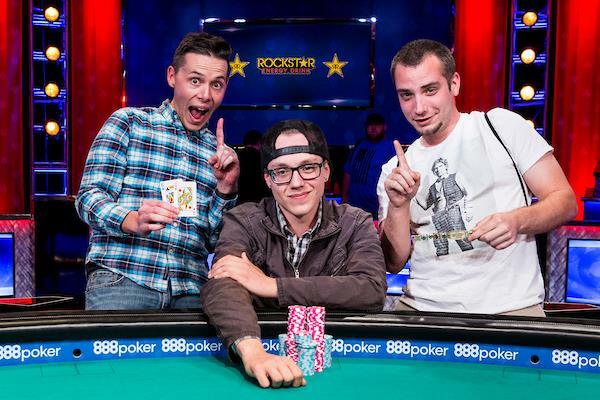 Hufty’s win seems to symbolise everything that we love about the WSOP. We get to see players’ dreams come true. Hufty moved to Las Vegas from Michigan five years ago, and before today had only two live cashes for $2,000 combined. Thursday saw Event #3 of the WSOP schedule kick off. The $3,000 NLHE SHOOTOUT got 363 total entries today, and after 50 tables played down to a winner, we have 50 survivors coming back for Friday’s Day 2. Unsurprisingly from such a touch field, there are plenty of big names who won their tables to advance. 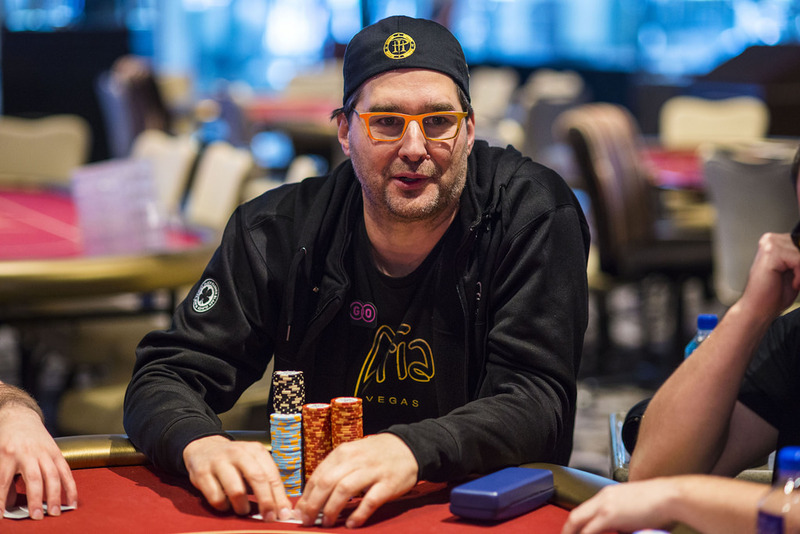 These include the Poker Brat himself, Phil Hellmuth, who is seeking a record-extending 15th WSOP bracelet. He managed to take down a table that included Brandon Cantu and Tony Dunst to make Day 2 and the money. Players started with a 15,000 stack, blinds at 25/50, and 40-minute levels. Chris ‘moorman1’ Moorman will also be back tomorrow, alongside the likes of Kenny ‘SpaceyFCB’ Hallaert, Eli Elezra, Joe McKeehen, Adam ‘Adamyid’ Owen, Alexander Lynskey, and Jan-Eric Schwippert. Some of those who tried and failed today include last year’s champion Upeshka De Silva, Georgios Sotiropoulos, Niall Farrell, Maurice Hawkins, Shaun Deeb, Danny Wong, Rainer Kempe, and Kristen Bicknell. Players finishing 11th-50th will receive $6,302, so that’s the guaranteed cash right now. Action resumes at 12pm on Friday. Day 2 of the WSOP also saw the beginning of Event #4: the $1,500 Omaha Hi-Lo 8 or Better. A total of 911 hopefuls took their shot, and when the chip bags were brought out after ten 60-minute levels just 296 remained. Dao Bac bagged up the chip lead with 74,700, followed by Nick Guagenti (65,600) and Pamela McPeak (64,900). Some of the notable names to advance include six-time bracelet winner Layne Flack (41,500), four-time winner Jeff Madsen (31,900) and three-time bracelet winner Benny Glaser (27,200), who won this event back in 2016. 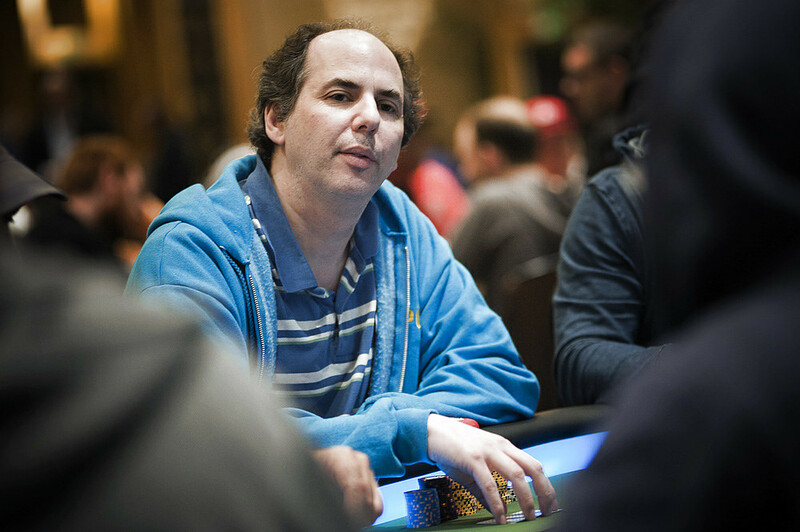 Allen Kessler (39,600) will return, joined by Matt Waxman (43,200), John Racener (31,300), Mike Leah (22,500), and ‘The Mouth’, Mike Matusow (14,800). Some players who failed to find a bag in this one include actor James Woods, Ari Engel, Sorel Mizzi, Brian Hastings, James Obst, Mike Ross, Felipe Ramos, Kathy Liebert, Kristen Bicknell, Jeff Lisandro and Todd Brunson. As well as Day 2 of both the SHOOTOUT and Omaha events, Friday June 1 will see one of the largest buy-in events kick off. Event #5: $100,000 No-Limit Hold’em High Roller will begin at 3pm, and is sure to be jam-packed with the world’s best. The four-day tournament has one re-entry too, so expect a massive prize pool for this one. On the other end of the buy-in spectrum, the first starting flight of the $365 GIANT event begins at 7pm. It’s the first of five Day 1s, with Day 2 being played on June 30. Yesterday we told you about Jerwin Pasco, a player from the Philippines with $90K in career earnings, who went on an amazing run on Thursday. Pasco had a dream to play in Friday’s $100K High Roller, and so entered a $125 Mega-satellite into an another $850 Mega-satellite, and won both of those to win entry into Thursday’s $7,500 Mega-satellite. At the time of writing the outcome of this event is unknown, but there were at least 16 entrants with one seat awarded. Stay tuned tomorrow to see if Pasco makes it. They kept mapz and fired jaybone. Lol.